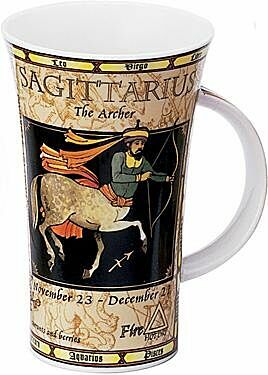 Jack Dadd's Signs of the Zodiac stoneware mugs have been bestsellers for Dunoon for many years and we know that they are often a particular favourite of Dunoon aficionados. Now you can enjoy them as fine bone china mugs! Each beautifully decorated design in the range gives you a wealth of information on your birth sign, including the appropriate date range, element, gem stone, flower, ruling planet, character traits and much more! This is part of a truly exceptional range of mugs, which always make very popular presents. 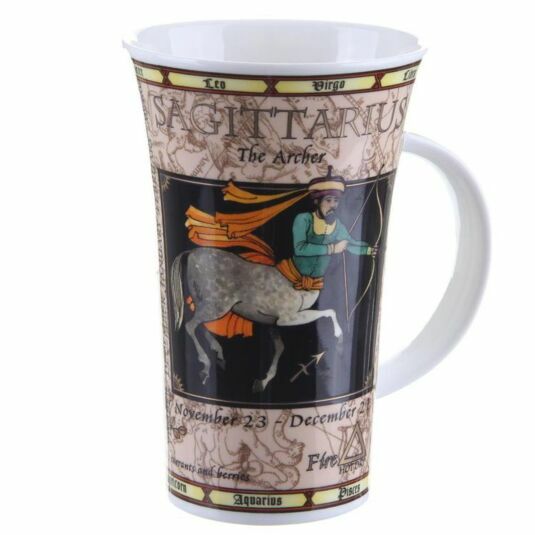 Give this Sagittarius mug to someone born between 23rd November and 21nd December.